Hello Refashion Co-op. 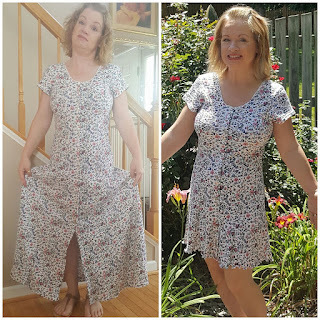 I found this great floral dress at a clothes swap recently. It fit really well and I liked the little cap sleeves. The length was much too long on me. That was an easy thing to fix. 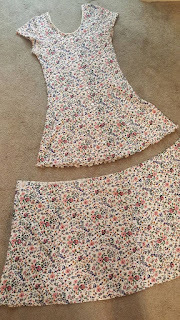 I made a big cut so it was a much shorter dress. The new length was perfect for a hot summer day. And since we are in a heat wave where I live, this dress is perfect. 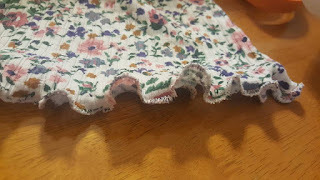 I decided to make a lettuce leaf hem. I think it was Accidental Seamstress that showed how to do this a couple months ago. It was very easy and quick, just as she said. Thanks for reading, for more details and pictures go to I Can Work With That. Love the lettuce hem. I need to try this out. 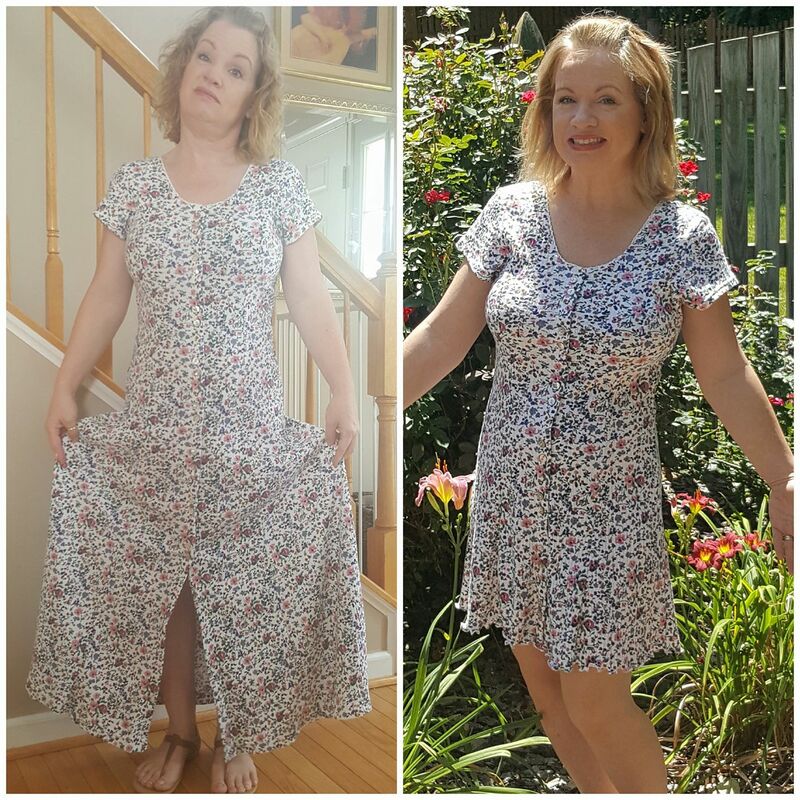 Perfect summer dress. Thanks, I never would have tried it if Accidental Seamstress had not said it was easy. She was so right. So big thanks to her. So cute and more modern looking! I also want to try the lettuce hem. And a clothing swap. We don't seem to have them here. We at Pezalli, produce high quality shirts for discerning gentleman, entirely hand crafted. From exquisite fit and comfort to impeccable elegance, this shirt offers you the best of both British traditional craftsmanship and modern Italian design. Pezalli Bespoke shirts are custom made with your personal choice of fabric, style components and monogram, using 22 pieces and 55 separate steps, to create a statement of style and quality unlike any other. 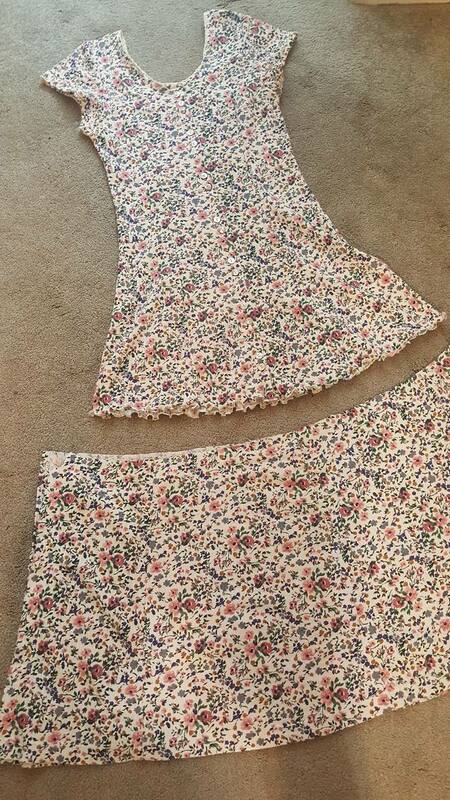 Cuuute :) I may have to try that hem!